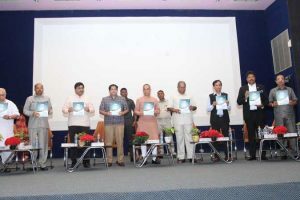 Symposium organized on Environment Protection! 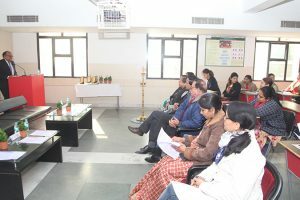 Chemistry Department, Faculty of Engineering and Technology, Manav Rachna International University, Faridabad organized a symposium on ‘Environment Protection’ wherein the students from different universities of Delhi/NCR participated in model, poster and oral presentation competition and won prizes in each category. Dr. N.C. Wadhwa, VC, MRIU in his inaugural speech discussed the importance of environment protection and congratulated the participants for their contributions. There were four expert talks in the Symposium. Dr. Kuldeep Singh Dhindsa; Director General CDL Vidyapeeth, Sirsa was the Guest of Honor. 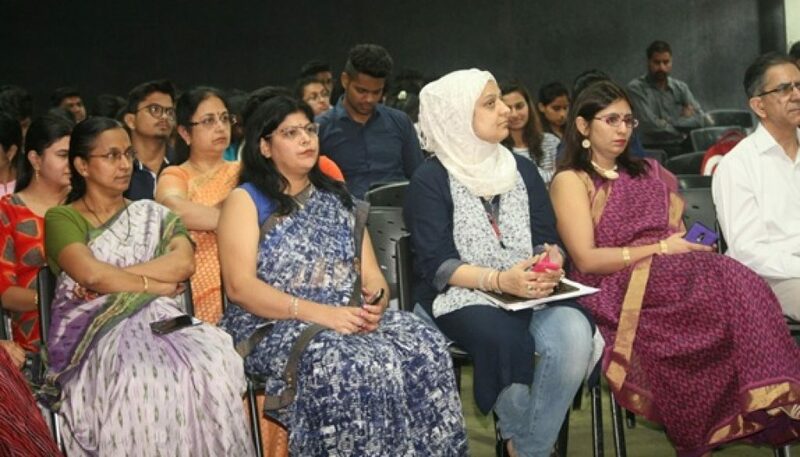 Dr, Dhindsa sensitized the students about sustainable development and highlighted that the environment protection involves changing of attitudes and lifestyles. Dr. S.K. Chakarvorti, Advisor MRIIC, discussed the effects of cellular radiation. Students have realized the risks associated with use of mobile phones. Both the lectures were very informative in first session. In second session, the invited speaker Dr. Vishal K Khatavkar from Waters, India explained the innovative analytical technologies. Dr. Vijay Kumar, HOD Mathematics discussed the significance of mathematical modeling in pollution studies. After the invited talks, there were 35 oral/poster/model contributions by participants from Manav Rachna and other institutes of Delhi/NCR. The presentations were very informative and students spoke very confidently. 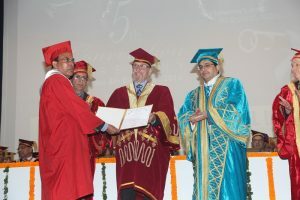 Dr. N.C. Wadhwa, Vice Chancellor MRIU; Dr. M.K. Soni, Pro- Vice Chancellor MRIU; Dr. Krishan Kant, Executive Director & Dean. FET; Dr. Kuldeep Singh Dhindsa, Director General CDL Vidyapeeth, Sirsa and Dr. S.K. Chakarvarti, Advisor MRIIC graced the occasion.